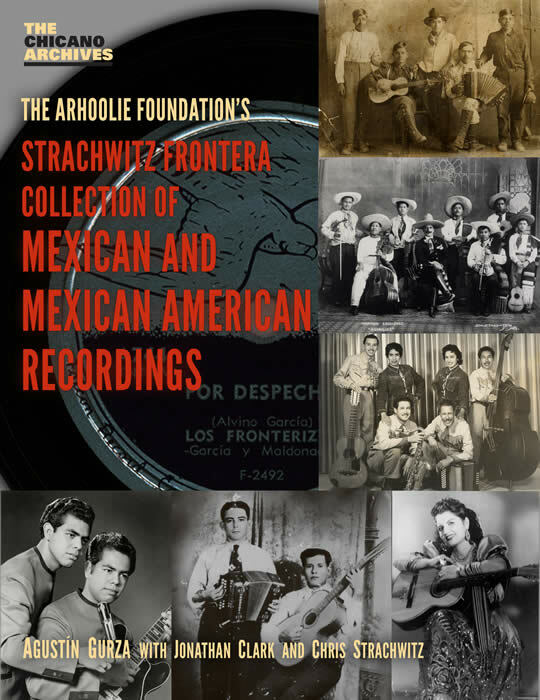 The Strachwitz Frontera Collection is the largest repository of commercially produced Mexican and Mexican American vernacular recordings in existence. It contains more than 130,000 individual recordings. Many are rare, and some are one of a kind. Although border music is the focus of the collection, it also includes notable recordings of other Latin forms, including salsa, mambo, sones, and rancheras. More than 40,000 of the recordings, all from the first half of the twentieth century, have been digitized with the help of the UCLA Chicano Studies Research Center and are available online through the University of California’s Digital Library Program. Agustín Gurza explores the Frontera Collection from different viewpoints, discussing genre, themes, and some of the thousands of composers and performers whose work is contained in the archive. Throughout he discusses the cultural significance of the recordings and relates the stories of those who have had a vital role in their production and preservation. Rounding out the volume are chapters by Jonathan Clark, who surveys the recordings of mariachi ensembles, and Chris Strachwitz, the founder of the Arhoolie Foundation, who reflects on his six decades of collecting the music that makes up the Frontera Collection. The Frontera Collection Online Archive was launched on March 26, 2009. The material was digitized with assistance from the Chicano Studies Research Center, and the digital archive is hosted by the UCLA Music Library in partnership with the UCLA Digital Library Program. 76 black and white illustrations. "The Frontera Collection offers an almost limitless resource for the study of Mexican-American sociology and history; and, of course, a lot of it is simply wonderful listening....This book is a fitting celebration of the achievements of [Chris Strachwitz]." "Agustín Gurza is the principal author, and his personal approach reflects a deep appreciation for the music and its performers. A former staff writer for the Los Angeles Times, Gurza is well informed and displays considerable familiarity with the scholarly literature." "Gurza’s book will prove indispensable for scholars, aficionados, and anyone wanting to put this online resource to serious use."